The Legends of Pop, Prince and Michael Jackson experience is the ultimate celebration of the 2 most widely beloved entertainers and profoundly influential artists of all time. 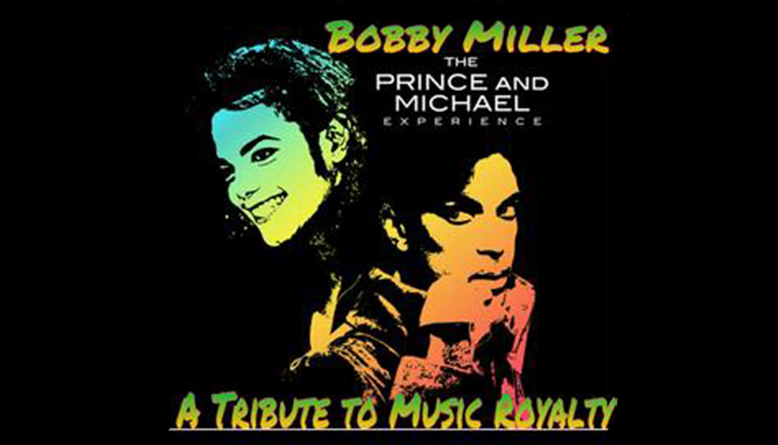 Bobby Miller presents an electrifying performance of Prince & Michael Jackson that can best be described as a “must see” performance. Since early childhood, Bobby Miller has studied and emulated Prince and Michael Jackson Persona, voice and dance movements. His hard work has transcended him into one of America’s Top Prince and Michael Jackson tribute artists. Bobby along with his world class band form a fully produced ensemble which recreates the magic of a live Prince and Michael Jackson concert. Expect to hear all of your favorite songs such as, Little Red Corvette, Purple Rain, 1999, Let’s go Crazy, Billie Jean, Beat it, Thriller, Man in the Mirror, and many more. Now that these amazing performers are no longer with us Bobby continues to honor them by giving fans the opportunity to experience the feeling and excitement of their live performances. Bobby promises to always keep the Prince & Michael Jackson legacy alive.